If you are a sushi fan this is going to be a very special day to celebrate the delight of eating sushi. On the other hand, for those who are afraid of raw fish, do not worry; the raw fish in sushi isn’t entirely raw, it has been processed in some way or another. The fish may be soaked, pickled or blanched and frozen; Nevertheless, if you want to stay on the safe side, you can try a California roll which has crab, avocado and cucumbers. There are many rolls that don’t contain raw fish. Rolls like the Mexican roll have shrimp tempura on the inside. Some bars even have chicken tempura rolls. 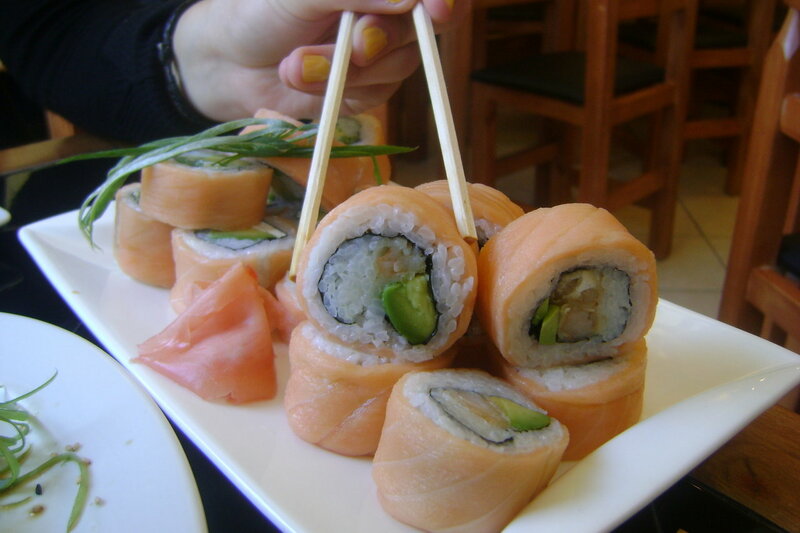 Sushi lovers do not only enjoy the taste of sushi, but also benefit from the nutritional value sushi offers. Sushi is mostly low in fat and high in protein. Makizushi rolls may also be high in carbohydrates. Nori (seaweed) is a great source of minerals found in the ocean. However, it is important to mention that Sushi is not ideal for everyone. It is said that you should stay away if you have type 1 or 2 diabetes, and stick to sashimi (raw fish). Also, if you have high blood pressure you should limit your use of soy sauce. To eat sushi correctly, don’t use too much soy sauce – that just suggests that you’re afraid of the flavor of the ingredients. Dip it gently, then savor it. If you’re skilled enough, try turning the sushi upside down whilst dipping it. If you’re not confident with your use of chopsticks, feel free to use your fingers. The favored technique is to turn the sushi upside down while dipping in order to season the topping as opposed to the rice. But this calls for a high level of manual dexterity while handling the chopsticks – and it is not advisable for beginners. 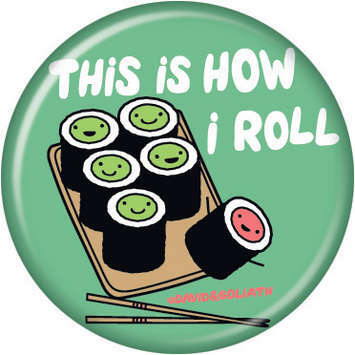 Finally, when it comes to sushi, WHATEVER you choose and HOW you choose to eat it, THIS IS HOW YOU ROLL !!!! !